OXFORD, Miss. – A decades-long partnership between the Natural Products Utilization Research Unit at USDA and the National Center for Natural Products Research at the UM School of Pharmacy is looking to nature to develop environmentally safe chemicals to manage pests. 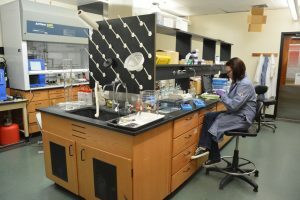 Research scientist Amber Reichley works to find natural products that can be used as insect repellents at the University of Mississippi School of Pharmacy. The collaboration includes roughly a dozen research projects dedicated to creating natural agrochemicals, such as insecticides, fungicides and herbicides. Charles Cantrell, a research chemist with the USDA’s Agricultural Research Service, works with the NCNPR to identify these natural sources to create natural insect repellents. “There is really a consumer demand for more natural insect repellents that are safer and better for the environment,” Cantrell said. This partnership began around 2005 when Charles Bryson, an ARS botanist from Stoneville, Mississippi, came to the NCNPR with an idea. He told of how his grandfather would put clippings of American beautyberry, a plant native to Mississippi, in the harnesses of his stock animals while they were in his fields. The plant repelled horseflies from the animals and repelled mosquitos from the farmer when he rubbed its crushed leaves onto his skin. The investigation into this particular remedy led to the discovery of a chemical called callicarpenal that was proven to repel bugs, but was ultimately too expensive for mass production. Since then, the NCNPR has actively tested folk and traditional botanical remedies for repelling insects in hopes of finding chemicals that can be made into natural repellents. Charles Cantrell with lab instruments meant for isolating natural compounds. One potential source of natural insect repellent is the breadfruit tree, which is native to Hawaii. The breadfruit flower repels nearby mosquitos when dried and burned. 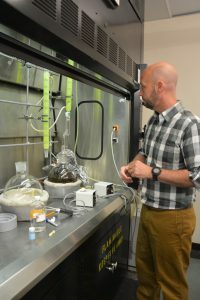 Scientists from the National Tropical Botanical Garden in Hawaii approached the NCNPR to find out why and how this works. To begin this study, Cantrell’s team first proved that burning the breadfruit repelled mosquitoes, and then identified the specific fatty acids in the smoke that caused this effect. The lab is now speaking with commercial partners interested in developing these fatty acids into all-natural insect repellents. 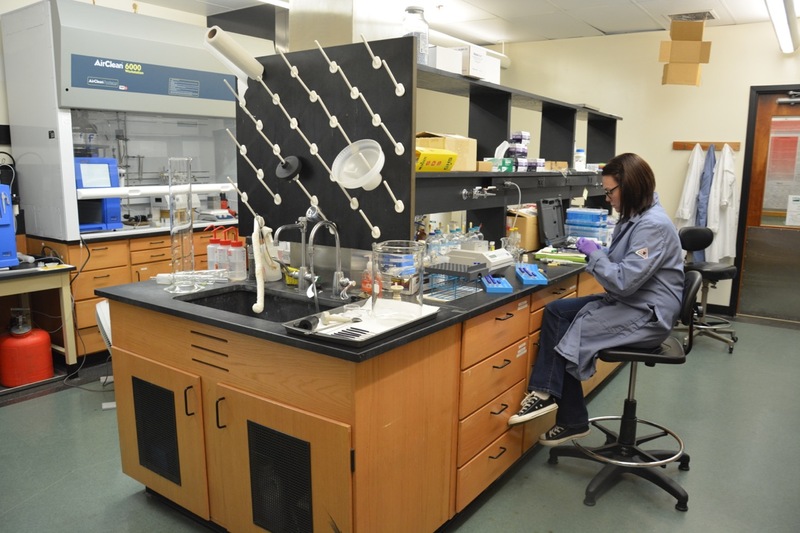 Before the product becomes commercially available, Cantrell’s lab or the commercial partner must register the product with the Environmental Protection Agency. Once Cantrell’s lab identifies a potential natural repellent, he sends it to Abbas Ali, a research scientist in the NCNPR, who tests the compound to see if it’s effective. UM has recently filed a patent application for a new natural insect repellent and is currently seeking a development and commercialization partner. Another such insect repellent study in progress at NCNPR uses sweetgrass, a plant native to the northern U.S. and southern Canada. Because the grass has a sweet scent, it is particularly well-suited for a commercial product. Not all research projects come from knowledge of traditional practices. Sometimes scientists will gather plants from around the world and conduct random screenings on them to test for beneficial chemicals. In addition to finding properties for agrochemicals, these tests can also lead to the discovery of new drugs.